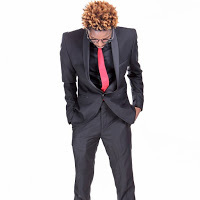 Celebrated witty and hilarious comedian Eric Omondi is one of the few comedians who have perfected the art of cracking the ribs of Kenyans and Africa at large. The stand-up comedian who was brewed at Daniel ‘ churchil’ Ndambuki’s highly-rated comedy show, churchil show has lately been hitting the news headlines for pampering his breath-taking Italian girlfriend and by the look of things, it won’t stop anytime soon. 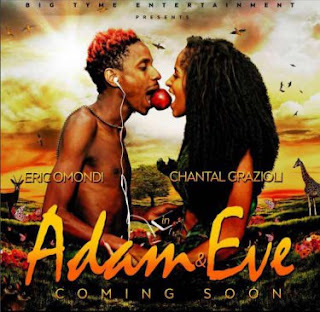 Recently, Eric shared a picture of him and his awe-inspiring Italian girlfriend where the two posed as Adam and Eve. Rumor has it that it’s an upcoming movie that Eric is set to release.